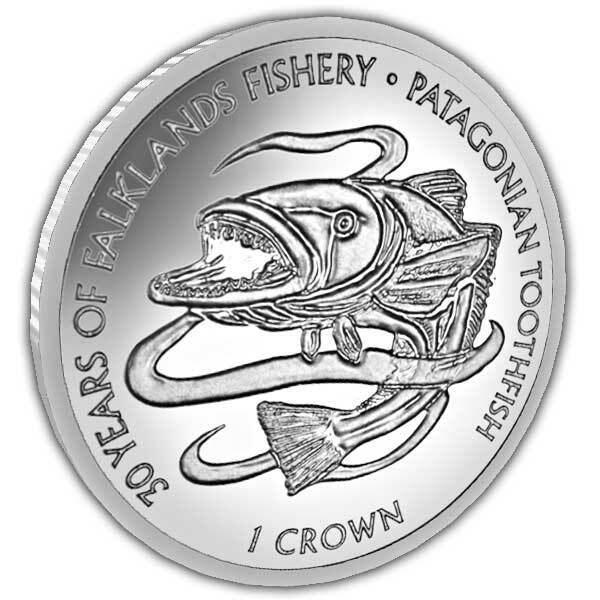 In acknowledgment of thirty years of work performed by Falkland Islands Fisheries Department (FIS) to assist preserve fish populations around the Falkland Islands, Pobjoy Mint is launching a coin depicting the Patagonian Toothfish in an Eddy of Water. The Patagonian Toothfish is a types of cod discovered in cold icy waters primarily in the southern Hemisphere at depths of in between 45m and 3850m! Toothfish can grow to weigh up to 100kg and reach 2.3 m in length, although this is quite uncommon. It is approximated that they can live for 50 years and sustain themselves by feeding upon squid, small fish, prawns, crabs. The Falkland Islands are contributing in the conservation of this species by creating regulated fisheries and looking at data from Patagonian Toothfish captures. This was set up in 1994 with the increase in dermersal longliners targeting this types at depths of over 600m. The reports show that the fish stocks generally reduced from 1994-1999 with the biomass currently at about 50% of what it was in its unexploited state. 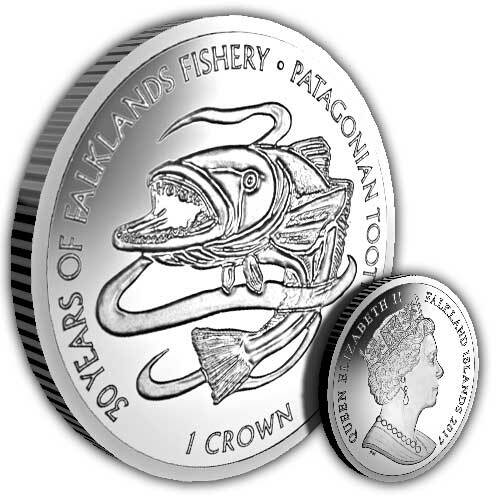 The official body responsible for the sustainable development of fisheries in the Falklands is the Falkland Islands Fisheries Department (FIS), established in 1987. 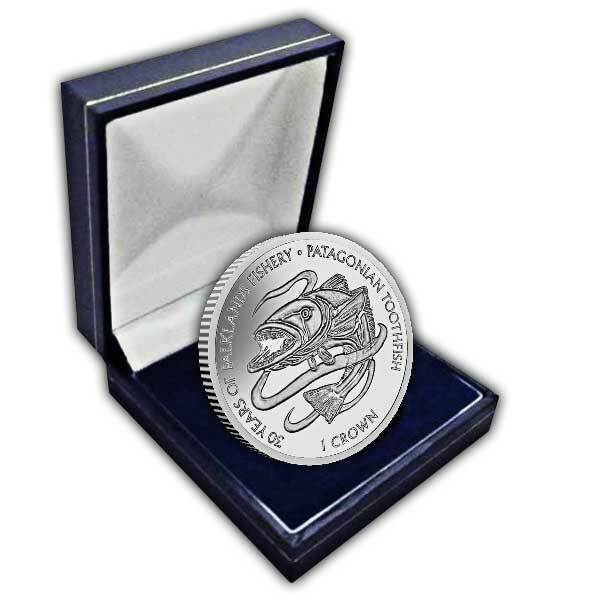 The obverse features the Pobjoy special effigy design of HM Queen Elizabeth II in stunning detail.